​Have you seen bats on your property? Don't try to remedy the problem on your own. The longer the bats are on your property, the more exposed you'll be to the diseases they may carry. Pestboyz we offers reliable bat control services for our customers. 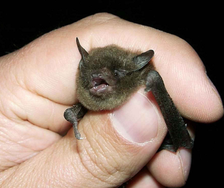 Our bat specialists have the experience, skills and tools to safely eliminate unwanted bats. When you call on Pestboyz, we will arrive on the scene quickly. After assessing the situation and determining the source of the problem, we'll implement the best bat control methods designed to get rid of these unwanted visitors once and for all. Our goal is to create a safe environment while offering you the peace of mind you deserve. If bats have become a problem for you at your home or place of business, reach out to the experts at Pestboyz. Call us now at 352-398-9348 or complete our convenient form.